They seriously are. The quality seems fine but they are far too tightly crammed together on the sticker sheet which is considerably smaller than Titan Metroplex. Too many of the tiny ones are such a pain to apply properly they should have been tampos instead. Took me two hours to get them all applied. anyone else having this much trouble applying his stickers? I probably should have done the same but I am stubborn about applying all the stickers once I start. the problem I had with my set was some weren't even kiss cut properly from the factory. the gold eyes for instance literally shredded before I could get them off the sheet. Hahah, I know what you mean. That happened to one of my stickers as well. Annoying! Yeah, I got mine recently and I just made the decision that if I ever put stickers on it I am going to get the toyhax ones. If I'm going to spend all the time, I'm going to want it to be the best I can get. same but for me it was many of the tiny lil ones. Did the best I could with them. No clue why such a big figure needs so many lil stickers. I never used mine and went for the reprolabels set instead. 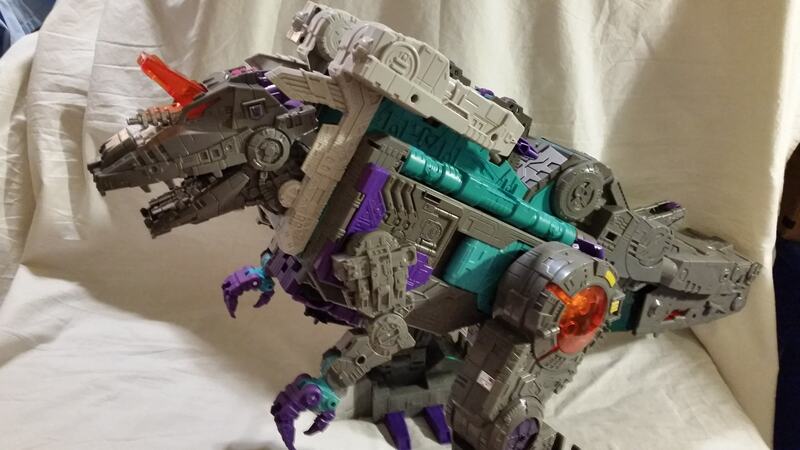 Perhaps damning with faint praise, but personally, I think Trypticon did the user-applied sticker thing better than any of the other Titan-class thus far. Didn't bother with the eye stickers though. That's like keeping one of those cardboard sun-shades in place while driving. My stickers are still in a drawer, if I ever add any it'll be the reprolabels...and those annoyingly didn't have Decepticon symbols, so he'll probably just stay stock unless I ever luck into the type of money that would allow me to pay someone to customize him. SO MUCH FUN!!! MORE STICKERS NEEDED!!! SERIOUSLY!!! As many stickers as he comes with, he needs that Toyhax set as well, IMO. Then I had to have dinner so I put them on the couch. Same. My policy with Titan Citybots is to always get the Reprolabels sets. They just save so much trouble. Yeah, that's why I didn't put all of the stickers on mine. I just ended up with the faction symbols and quit after trying to put the ones on the prison cells in his belly and failing. I especially didn't bother with the stickers over the eyes, because Trypticon kinda has light piping, and I think orange eyes on him look better than yellow ones. 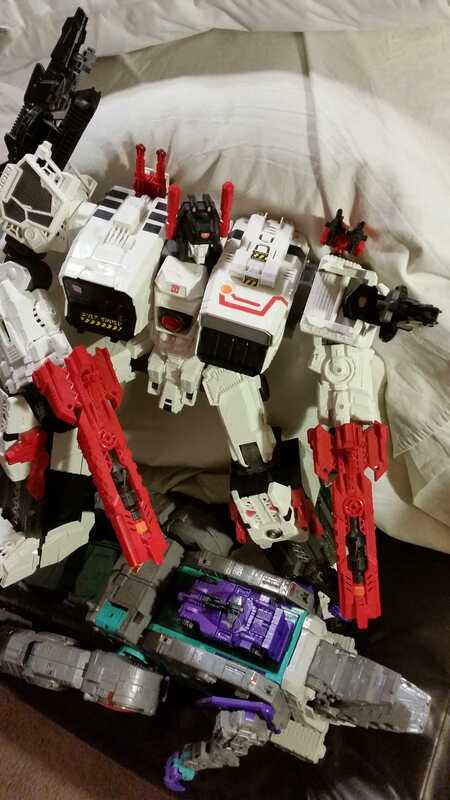 I don't remember the stickers on Metroplex being so obnoxious. The only ones I usually care about are the insignia stickers. stickering trypticon was a terrible experience, i didn't even finish i left the last 10 or so stickers off because they were terribly made. for now on I'm leaving stickers off outside of important ones like faction symbols unless I invest in toyhax ones. the stickers hasbro has made for the past few years have been abysmal in quality. Ya a few weeks ago I got one at Ollie’s and damn doing the stickers sucked. The whole time I thought how did Hasbro expect 10 year olds to do this? I have bought a Titan Trypticon today and I am glad to find out about this before I get started. glad the thread helped , wish I knew how horrible the stickering experience was going to be before i started the process.